Note: this is not an entire System – it is just the LED pad alone – no controller, no power adapter, no carrying case, and no manual! To order a Lumen 90 Photon Therapy LED Light System complete with controller, power adaptor, carrying case, and manual, click here. YES!!! You CAN order extra LED pads for your Lumen Photon Therapy Device! Say you have a Lumen Photon Therapy System with a Dual Port Controller and want to purchase an additional LED Pad… Or perhaps you have a Photon Therapy Device with a Single Port Controller and you want a different/additional LED Pad than the one you have. Well this is how you do it! 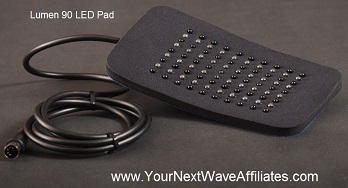 The Lumen 90 (IR/R) LED Pad is made of flexible neoprene and may be easily applied anywhere on the body. It measures 4″ X 8″ and features 40 visible and 50 infrared LEDs. The Lumen 90 (IR/R) Photon Therapy LED Pad has a 30-day, full money-back guarantee*, and is warranted against defects in materials and workmanship for one year! Lumen 90 (IR/R) Photon Therapy LED Pad has a 30-day, full money-back guarantee*, and is warranted against defects in materials and workmanship for one year! 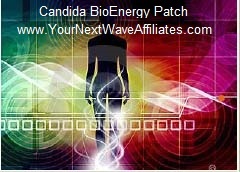 Candida – BioEnergy Patch * $39.97 Special! 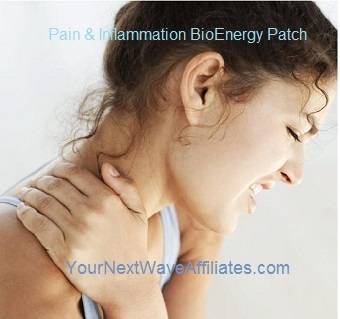 Pain & Inflammation – Energetic Adhesive Disk * $39.97 Special! 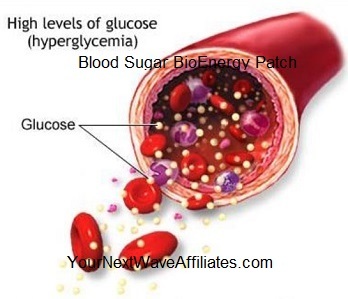 FEM Plus (Female Hormones) – BioEnergy Patch * $39.97 Special!